This is one of those NP that makes me so happy when I wear it. I love multi chrome finish. I have a hard time capturing multi chromes. They are fun like that. The flash shows up when you least expect it. I think I did fair with Venomous. I made an animated gif for fun to show the color flashes. My first animated gif. 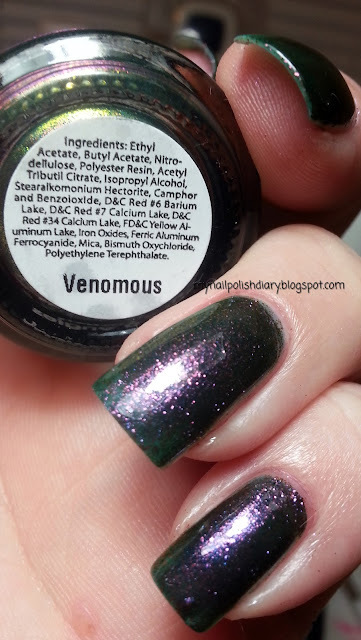 Claire's Venomous is purple base with a green, gold, pink flash Application and wear were just fine. I used my usual TC and then QDTC method, that I feel made no difference what so ever in how the polish looks. 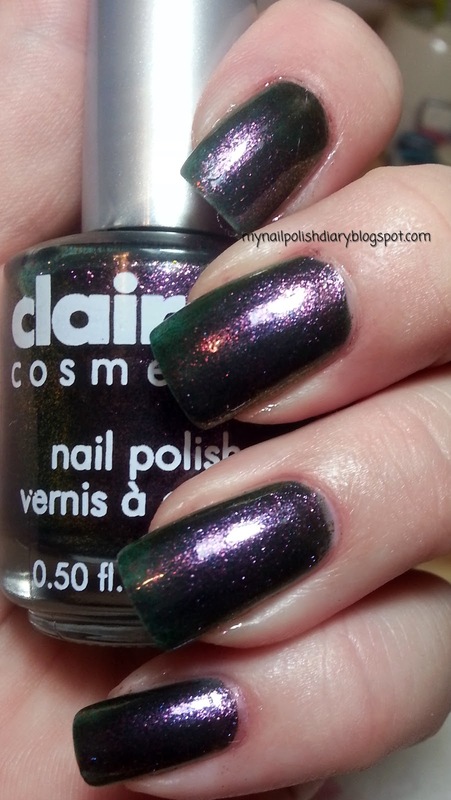 Metallics and multi chromes don't seem to look better (or worse) with TC. I do think it helps with wear though.